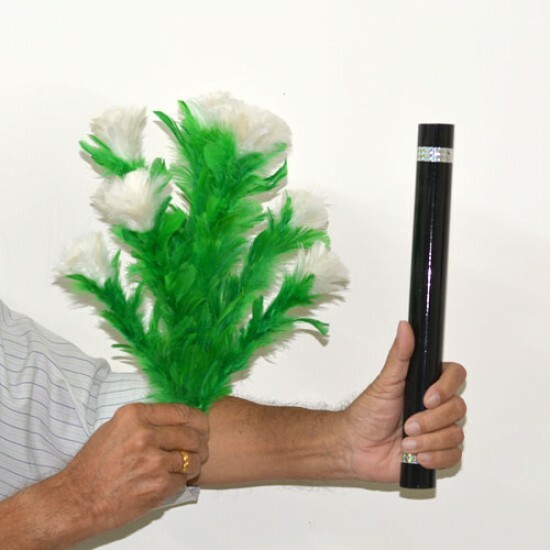 Magician Show Single Flowerr Stick with Black wand, he push the flowerstick inside wand an pull it down nothing happens. Opps he forgot to say his magical words. Once again he push the single flower stick inside wand and say magical words “Abara Ka Dabraa”, when he pull flower our from wand magically it bcomes flower bouquet. Easy ans simple to perform. Comes ready to perform with instruction sheet. Come White Single Flower, flower bouquet and black magic wand. 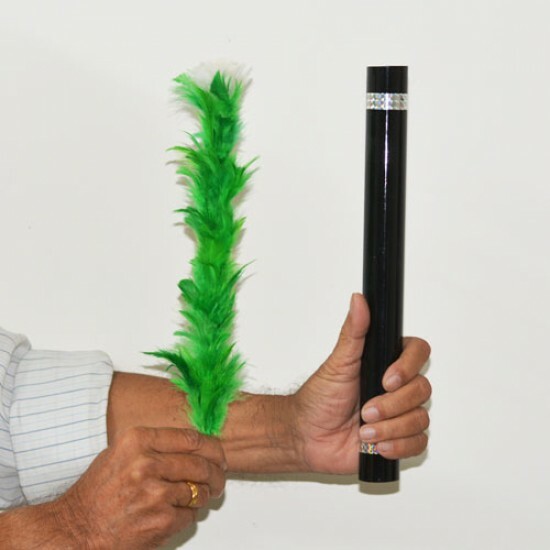 Very simple and effective Stage magic trick.The sturdy, plastic frame is just large enough to hold a jumbo card. With it, you can make a card di..